P eriodicity is dead,” proclaims Edwin Kilbourne, and he ought to know. Kilbourne is a physician who has witnessed the devastating toll pandemic flu can take on the elderly, pregnant women and people with heart disease. He cared for them at New York Hospital in Manhattan during the Asian flu outbreak that began in Yunan, China, in the spring of 1957 and soon swept the world. And he watched them die of a viral pneumonia quite like the one that killed millions during the deadly influenza outbreak of 1918. Eleven years later, the Hong Kong flu pandemic hit, taking the lives of an estimated 34,000 people in the U.S. alone. Kilbourne and other flu experts became convinced that such outbreaks were periodic, emerging every 10 years or so. They based this notion solely on the perception that outbreaks seemed to occur fairly regularly, though how, and through what mechanism, was never explained. Then in 1976, when a young soldier at Fort Dix, N.J., died of a virus suspiciously like the 1918 flu bug, Kilbourne and others argued that another deadly pandemic was imminent. The U.S. government rushed a vaccine into production and inoculated 40 million people. About 25 died of vaccine-related complications, but the swine flu outbreak never materialized, and no pandemic strain has emerged since. Despite that long quiescence—or because of it—flu specialists at the U.S. Centers for Disease Control and Prevention (CDC) and at the World Health Organization (WHO) consider a deadly global outbreak long overdue. 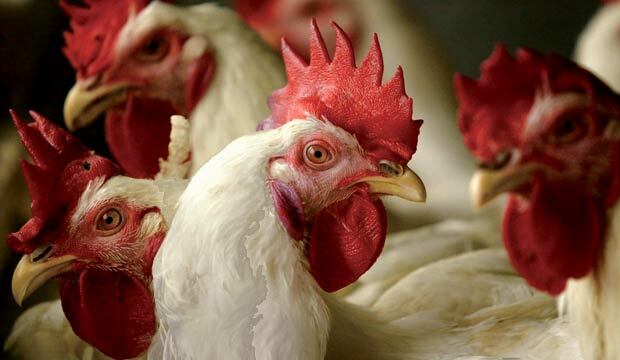 They’re anxiously watching a new virus known as H5N1, which has ravaged Asian poultry flocks and by early last summer had killed more than 50 people. Tim Uyeki, a leading epidemiologist at the CDC, has warned of a looming public health disaster, as have several WHO officials. Recent articles in Nature, Foreign Affairs and The New England Journal of Medicine have suggested that a lethal pandemic is in the offing—and that we, as a nation and as a species, are not prepared for the eruption of what could be the deadliest plague of all. That is not to say, of course, that a pandemic could not emerge. Each year, a new strain of influenza spreads across the globe, sickening millions; according to the CDC, in a typical year an estimated 36,000 Americans die from influenza-related complications and more than 200,000 are hospitalized. But when flu experts speak of a coming pandemic, they're describing something potentially far more devastating. The concern is that, rather than a slight genetic variation on last year’s virus, a wholly new form could develop and spread wildly, cutting down millions who have no natural resistance. The event that could trigger a pandemic is a switch in the proteins—hemagglutinin (HA) and neuraminidase (NA)—that project from the surface of the flu virus. Within each of these antigen types lies considerable variation. If a population is already largely immune to a particular variant, natural selection will favor the spread of mutations in the genes for HA or NA. Known as antigenic drift, these small changes in the structure of the proteins result in a variant of the existing virus that is just different enough from the last version to stay one step ahead of the body’s immune system. Then, as immunity catches up, the virus evolves again. 1. “The Human-Animal Link,” by William B. Karesh and Robert A. Cook, Foreign Affairs, July/Aug. 2005. The most valuable of the pieces in the magazine’s special section on the threat of avian flu. 2. “Capturing a Killer Flu Virus,” by Jeffery K. Taubenberger, Ann H. Reid and Thomas G. Fanning, Scientific American, Jan. 2005.Informative introduction to the techniques that allowed retrieval of sequences for the 1918 flu. 3. Fever of War, by Carol R. Byerly (NYU Press, 2005). An excellent history of the 1918 pandemic; Byerly has a firm grasp of evolutionary theory and provides a moving description of the conditions leading to the pandemic.